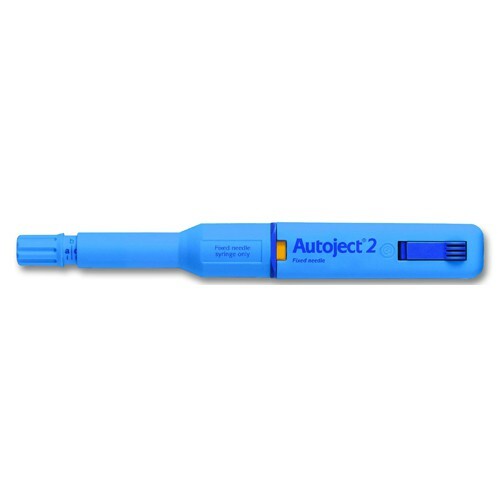 For fixed needle syringes, this simple, versatile autoinjector takes the anxiety out of injecting. Simultaneously inserts needle and delivers medications. Fitted with safety lock and depth adjusters. Includes carrying case.